WindowBlinds &quot;PerPixel&quot; 5 - new features explanatory series - part two. WindowBlinds 5 "PerPixel" new features explanatory series - part one. Where's that "File dialog... *something*" section? Why can't graphic applications get their channels right? Get Opera 8 - Probably the best browser on the planet to date. NeoWin WB Forum - The Neowin.net forum for WindowBlinds users. 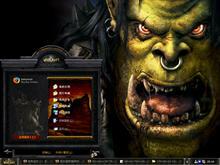 WinMatrix VS forum - One of the warmest and most pleasant forums for skinnsers on the Net. The users seems to be very nice there and the admins very perceptive and reasonable. Must Visit! The end of the Internet - One native European geek's weird place.